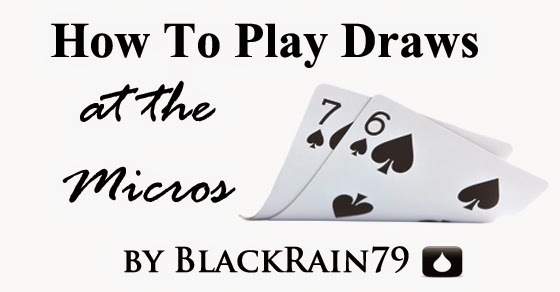 I have been meaning to write an article on playing draws at the micros forever now so here it finally is! The reason why is that people ask me a lot about these particular situations. The "common knowledge" for quite awhile now has been to play draws fast versus most regs and even some fish. This is not bad advice. Any time we do something that makes us appear more aggressive that is definitely a good thing. And the beautiful thing about most draws is that they give us some reasonable equity to put in our back pocket as well. 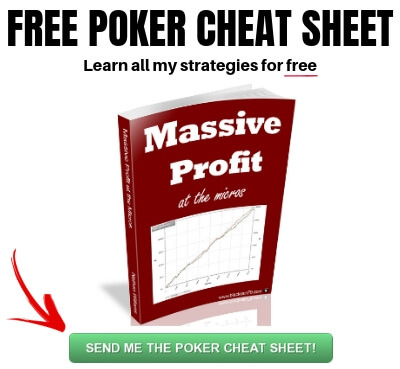 How to play draws in poker depends on the player type, the board texture, the betting action and the stack sizes. In some situations it is good to play your draw passively by checking and calling and in some situations you should play your draw fast by betting and raising. In this article I am going to break it all down for you with specific examples. However, what many of the biggest winners understand in today's games at the micros is that tailoring your actions versus each specific opponent and situation is the real key to success in playing draws or in any other scenario for that matter. The specific opponent and the specific situation are what matters. So for instance versus some ridiculous nit at NL2 it might be best to just call with a draw if the math and implied odds are there. This is especially the case on a broadway type board that smacks his (extremely tight) range. He probably has TPTK+ a lot of the time and isn't folding. So by raising with our draw we would just be putting money in bad and potentially pricing ourselves out should our opponent choose to re-raise us. However, versus many of the weak/tight TAGfish that you see all throughout the micros raising with our draws often does make a lot of sense because they will have a wider range and they don't like to go to showdown without the nuts. This is especially effective when we are in position and can apply even more pressure on later streets. Lastly, versus many of the good, solid and aggressive regs (i.e., the real TAGs) in today's games issues of balance come into play. So some sort of mix between raising and calling with our draws and the occasional big multi-street bluff will probably work out best. Again though, board texture, position and history with these players in particular will play a vital role. 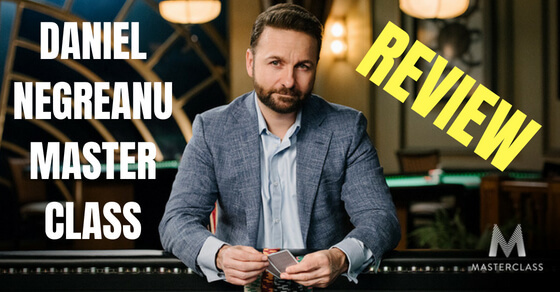 In this article I am going to look at a couple of common scenarios with a draw at the micros versus a reg and talk about the best line to take. Assume 100bb effective stacks in all examples. So in this spot we called preflop with a suited connector in order to outplay a terrible reg in position. We did this because he has massive glaring weaknesses in his postflop play. 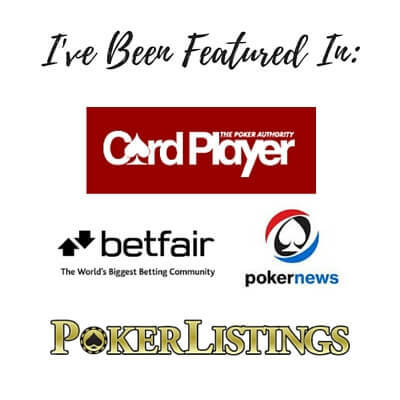 By looking at the stats above we can see that he only makes a CBet on the flop 50% of the time and he folds half of the time when raised (50%)! We can also see that when he fails to make a CBet on the flop he is folding 100% of the time when somebody bets in position. It should be very obvious that this is a profitable situation for us. We will bluff/raise a fair bit on the flop when he CBets and we will bet every single time when he checks to us no matter what we have. As we can see in this particular example though, villain does go ahead and make a CBet. We flopped a big draw with the flush and gutshot (12 outs). What should hero do? We have already established the fact that this player is incredibly fit or fold after the flop. He is also on a very tight range (10/6 SuperNit). This flop (with the ace and the king) smacks a tight range extremely hard with hands like AK and AQ for instance. We need to realize that when a player like this continues to show aggression on a flop like this, he is going to have a solid piece of it quite a bit of the time. Not only are we not getting these hands to fold but we could face a re-raise which is the absolute worst outcome of all. This is because we have a huge hand but would be putting money in bad by continuing. Our 12 out draw here is a statistical dog versus AK and AQ for instance. For all of these reasons we should realize that fastplaying our draw is the wrong answer versus a player like this, in this situation. So in this spot we made a fairly typical open from MP and got called by a bad reg in the big blind. Typically we would put this player on a bunch of pairs that he is set-mining with and a few broadways or big aces that he didn't know what else to do with. As we can see this player only 3Bets at 4% which is definitely on the low end for 6max. Anyways, in this particular example we flop an open ended straight draw and he donks into us. What should hero do? This should be a pretty straight-forward spot to raise against a player like this. First of all his donk bet is fairly high for these stakes at 20%. This means that he is leading into us with a lot more than the 'set or better' range of most nits in these games. Secondly, typical of TAGfish we can see that he doesn't go to showdown very often (21%). We don't really expect him to fold his AJ, KJ, QJ and AT type hands all that often on the flop to a raise. However, we do expect him to fold them a lot on the turn and/or river when we apply additional pressure (whether we make our straight or not). We make a standard open preflop and get 3Bet by a TAG who is also in LP. This is very suspicious from a 10% 3Bet player. His range is so incredibly wide here. We could quite easily just 4Bet here (and we would a lot of the time especially since he folds a reasonable 55% of the time) but we decided to just make the call this time in order to balance our actions versus a good, thinking opponent. *Please note that calling out of position with a hand like this is very player specific and I would never do it versus the villains in the two previous examples. With this preflop decision we intended to take various lines to try and win the pot after the flop regardless of the board versus this player. Because as you should know, calling out of position with no plan to win the pot when you don't catch a piece (which happens most of the time) is a recipe for winrate suicide. The fact that we managed to flop the nut flush draw in this particular example though is a huge bonus. What should hero do here? Versus good players you should always be thinking about which lines allow you to get the last bet in (i.e., the all-in bet). This is because there are a lot of head games and bluffs that go on amongst good players but in order to call off your stack you actually have to have a hand. So one of the main reasons that I like the donk bet line here is because if he raises it allows us to shove (remember this is a 3Bet pot) and absolutely force him to have top pair or better. Versus good players at these stakes it is important to mix up our play a fair bit also. I want this particular player to know that I can check/call in a spot like this as well so I will take that line from time to time as well. I am not a huge fan of the check/raise line in this particular scenario though. Why? Because as I just mentioned it allows him to potentially get the last bet in. I hope you found this discussion useful. The main point to take away here is that playing draws at the micros, especially versus regs, has everything to do with tailoring your play to the particular opponent and the particular situation. You could just fastplay the heck out of them and do ok because blind aggression still works great at these stakes a lot of the time. However, this is no longer the optimal approach. 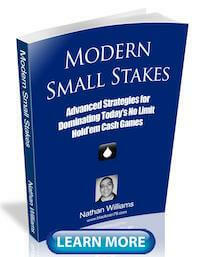 For those of you who have read my latest book, Modern Small Stakes, you will know that finding the right line versus a particular opponent and situation is the central focus. I need to mention also that I in no way claim to know everything about this game or be some sort of poker genius. If you think that another line is better in any of these examples then please explain why in the comments below. Or if you have any questions about any of the discussion above then please feel free to leave a comment as well. Good article Nathan. I agreed on all the decisions you made here. Thanks K, Glad you enjoyed! 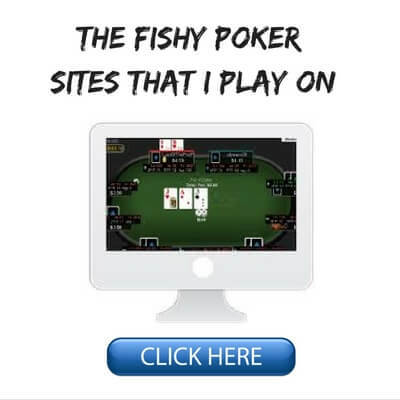 I was just thinking about this subject last weekend, perfect timing for your blog :) Very nice indeed, helps you understand that you need to be very player dependent while playing those hands. Looking forward for your next blog, also waiting for you next video on Youtube ;) keep it up! Thanks Jorge, the new video should be out next week! Nathan, what about the 15+ outs draws? The typical AKs or AQs overcards + nut flush or nut flush + straight draws? With these is it almost always best to get the stacks in on the flop? Or even with 15+ outs, you still have to consider alternate lines? Ya with a 15 out draw I am pretty much always looking to get the stacks in as we pretty much always have massive equity or are a favorite. Hello! How do you manage to pot control and the draw at the same time ? Well if you are in position then you could choose to just call with your draw. This certainly helps pot control as well. As I said though it is often better to raise at some point to give yourself more ways to win the pot (i.e., by getting them to fold). Just calling with your draw certainly has a place though as well. It is very player and situation dependent. I just finished watching your YouTube 3 part series on Crushing. EXCELLENT!! Thanks for taking the time. Different seeing actual play and hearing your real time analysis. I look forward to more. Most constructive. Glad to help! Thanks for the heads up on the video. I probably chose the wrong size when producing the video. I will make sure to look into that for part 4 next week. 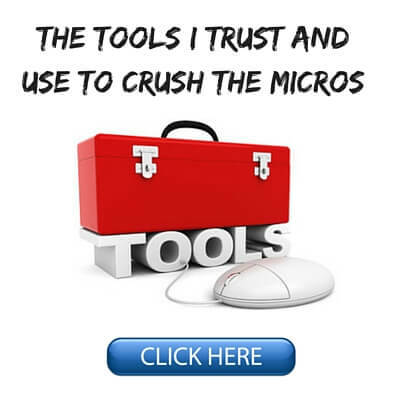 I have been freeloading off of your blog for too long - I bought Crushing the Microstakes today. 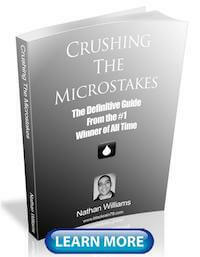 I will buy Modern Small Stakes when I finish reading and absorbing the first one. Been playing 5-10 cent limit but just not enough of those available on the US sites, so I need to switch to NL. And you will show me the way!!! Thanks! Also, thanks for all three versions - I have it on my laptop and iPad now. So I can read whenever! Thanks Chris, hope you enjoy! Thanks Derek, glad you enjoyed. I should have made it more clear but I do assume 100bb in all examples. I will actually add a note in the blog post right now. if the effective stacks is deeper ( 200 - 250bb) , how do you think we need to manage each case? I am reg in live poker and the stacks is deeper than online! Yes there are definitely more options when you get really deep like 200bb. I try not to complicate things too much though especially against bad players. I would still take a lot of the same lines here. 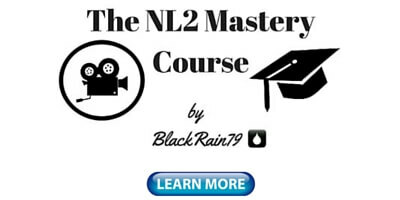 Nathan, in the first example, say the nit checks to us on the flop, should we take a shot at it and bet the flop? If so, and he calls, and the turn is something silly like the 6 of diamonds, and he checks again, what is our best plan? I know this may seem like an odd line for villain, but i have been similar spots a few times recently. Are we putting him on something like QQ, or KQ and just scared of the A? Do you think that a) my read is good on his hand, b) we have enough fold equity to warrent a second barrel? or should we just check behind and hope for a good river? Or do you have any other thoughts besides those two ideas? I am pretty much always betting when somebody checks to me. It's a sign of weakness at these stakes much more often than a big hand being slowplayed. How worried should I be when the flush card hits that someone has, say, the Ace or higher suited connectors than me? Flush over flush is rare, I wouldn't worry about it too much. If they have it, they will likely let you know. I really like that last example! A Donk bet is something I have yet to really use or understand, either putting it out there or when I get donked into. Thanks Jon and for your thoughts as well! Great site. I have a question about hand number 1 - as to whether it is actually better to raise. Hopefully you can help me figure it out. Warning - gets a little math-heavy! If we make some assumptions (reasonable I hope!) about stack sizes and bet sizes - that both hero and villain start with 100BB and that the PF raise is 3BB and the Flop bet is 4.5BB, then we have (ignoring rake) a pot of 12BB, with 4.5BB to call. The alternative (assuming we never fold our monster draw) is to raise. Lets assume that would be to 13.5BB, so in that scenario we'd have a pot of 25.5BB with action to villain and 9BB to call. If he re-raises us, we're pot-committed if not facing an all-in, so we'll assume that scenario. Furthermore, we'll assume that if we call the raise and don't hit the turn, that any bet he'll make will not justify our continuing - i.e. we need to hit the turn to extract any money. We'll hit the turn 12/45 times. Ignoring any redraws he may hit if we both see the river, and that we extract X from his stack on the turn, then our call is worth 12X/45-4.5. So a call is profitable if X is greater than 16.9. In other words he'll have to commit more than the size of the pot on the turn if we're to make a profit - which seems optimistic. Now consider the raising option. Lets say we end up all-in p% of the time, and he folds (1-p)%. When he folds, we win the 12BB in the pot. When we're all in, we lose an average of 14BB, based on the equities in your post. So our net equity from raising will be 12-26p. In other words, raising will be profitable if 12-26p>0, or p<46% (he folds 54% or greater, which is a large enough amount of the time). So what is a realistic value of p? If stack sizes get smaller, or the bet sizes are bigger, or there is more to win in the pot (e.g. limpers), or he flat-calls a flop raise (rather than shoves) I think it shifts even more towards raising. It all comes down to how much you think he'll put in the pot when one of your key cards comes. Interested in your thoughts. Thanks Kevin! Unfortunately I am not really a math guy when it comes to poker so I don't think I will be much help here. Sorry! In the third example I would check- raise him by getting half of the stack into the pot. If he shoves, i would get the right pot odds for calling. What do you think about this? I think that line works well also. I like it!